Paul Ippolito Memorial has been a family owned business since 1900. From the humble beginnings in the back of a tailor shop to three modern funeral homes, the Ippolito family has served those in need for four generations. Since 1900, Paul Ippolito Memorials have been serving families in the local communities in satisfying their funeral needs. The Ippolito family first became involved in the funeral business in 1900. Paul Ippolito, Sr. had come to this country and settled in Orange, NJ where he established a tailor shop, as he was a tailor by trade. Eventually, with the encouragement of relatives in an established funeral business in Jersey City, he began an undertaking business, as it was referred to then. Since the undertaking business had flourished, Paul, Sr. decided to discontinue the tailoring business, and, in 1917, Paul Ippolito Memorial funeral home was founded on Henry Street in Orange where it remained until March 2015. 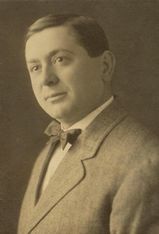 Paul Ippolito, Sr., passed away in 1927, and it was then that his wife, Annie, continued to manage the business very successfully. In 1932 their youngest son, Paul Ippolito, Jr., received his funeral director's license and continued the management of the business. Annie and Paul Jr. were joined by the second son, George, in 1948. They worked together in Orange until 1952 when they acquired McNamara's Funeral Home, now Paul Ippolito Summit Memorial, on its present site at 7 Summit Avenue in Summit. It was then that George moved to Summit to manage the new funeral home. In 1957 they acquired the property at 646 Springfield Avenue in Berkeley Heights for what would become Paul Ippolito Berkeley Memorial. Annie Ippolito passed away in 1959 leaving her two sons to manage the three locations. In 1965, Paul Jr. and George were joined by Paul Ippolito, III, who had attended McCallister School of Embalming in New York City and received his funeral director's license. George Ippolito retired in 1973 and it was then that Paul Ippolito, III relocated to Summit to manage the Summit and Berkeley Heights establishments. That same year, Paul, Jr.'s daughter, Anne Ippolito, graduated from McAllister School of Embalming. She received her funeral director's license in 1974 and continued to work in Orange with her father. 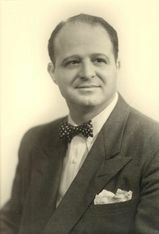 Paul Ippolito, Jr. passed away in 1991 after dedicating his life to funeral service. 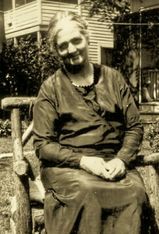 Anne continued to manage the Orange funeral home until her retirement in 1997. In 1992 the fourth generation of Ippolito funeral directors began to emerge and assist in the operation of the funeral homes. Angela, Paul, IV, Andrea, and Anthony Ippolito all graduated from American Academy McAllister Institute of Funeral Service in New York City and are licensed funeral directors. They all continue to be very active in the day-to-day operations of the family's three funeral homes. In 2013, Paul Ippolito Memorial Homes announced the addition of it's newest location, Dancy Funeral Home, now Paul Ippolito-Dancy Memorial, on Smull Avenue in Caldwell, NJ. In March of 2015, after 98 years of service to the community, the Orange location was closed, however, the Ippolito family is proud to continue the traditions of personal service, caring, and sincerity that have flourished since 1900.